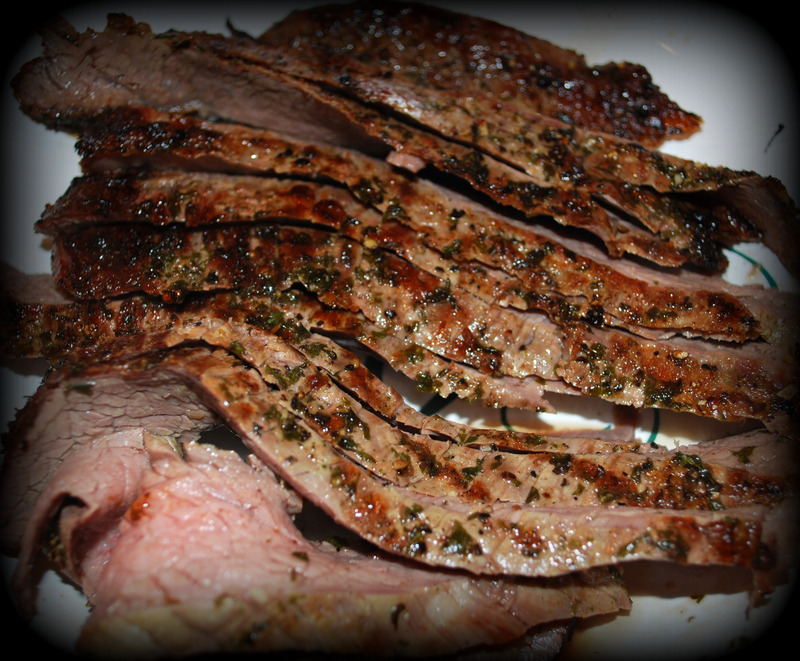 Flank Steak is one of my favorite meats to cook. There are so many different ways to prepare and serve it, it cooks up quickly, is always delicious and great left over in salads. My favorite way to cook it is on the grill. Last night I was pressed for time because we had my parents rolling into town just in time for dinner and then we had to be at a 7pm basketball game for our 8-year old son. 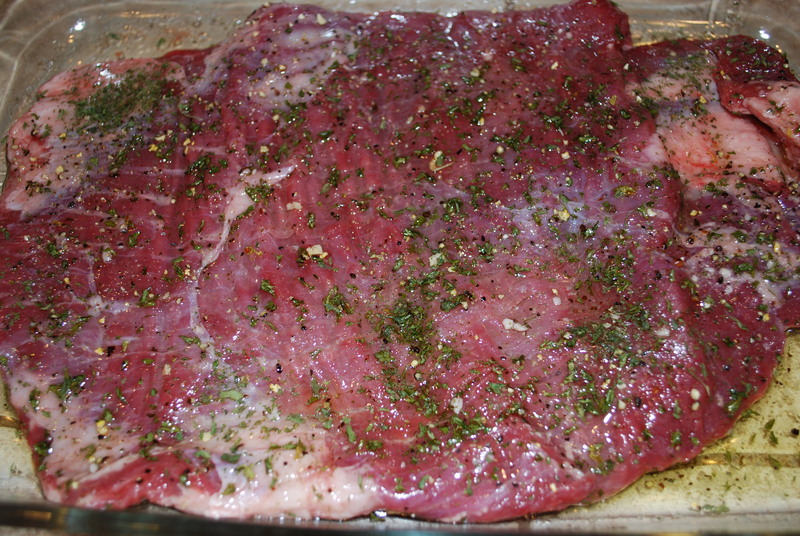 I had purchased two flank steaks because I wanted to make sure there was enough meat for leftovers. I needed a quick marinade or rub so I did two different recipes. One with an olive oil/parsley marinade, the other with the spicy rub Joey used on her spicy chicken recipe. Two completely different outcomes, both very tasty! I grilled them on a pre-heated gas grill over medium-high heat for 6-7 minutes per side. I let it sit for about 5 minutes before cutting. When slicing make sure to cut across the grain of the meat. Enjoy! This recipe was taken from Joey’s blackened chicken recipe…if you like a smokey, spicy flavor this is a great rub! Mix all ingredients together and rub on both sides of steak. Again, I grilled mine on a gas grill over medium high heat for about 6-7 minutes per side. Let sit about 5 minutes and then slice across the grain. Enjoy! 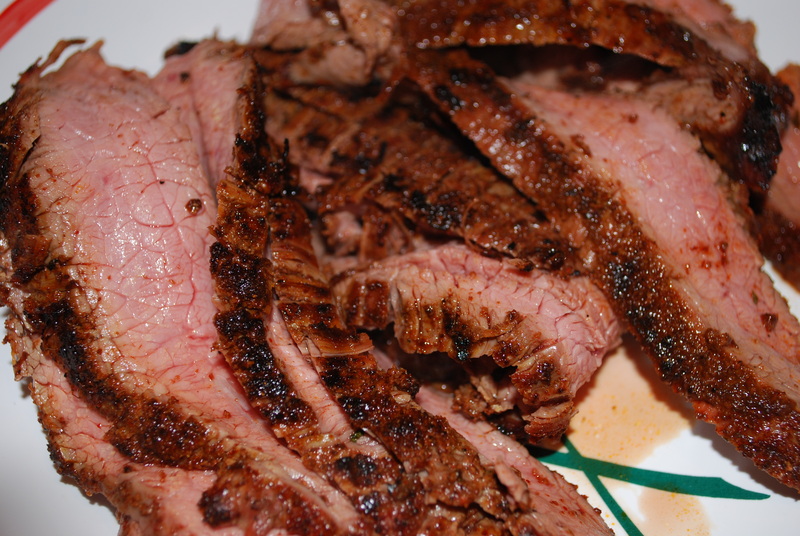 Completely self-explanatory, but any of the above flank steak are great sliced thin and tossed with your favorite lettuce, veggies and dressing. 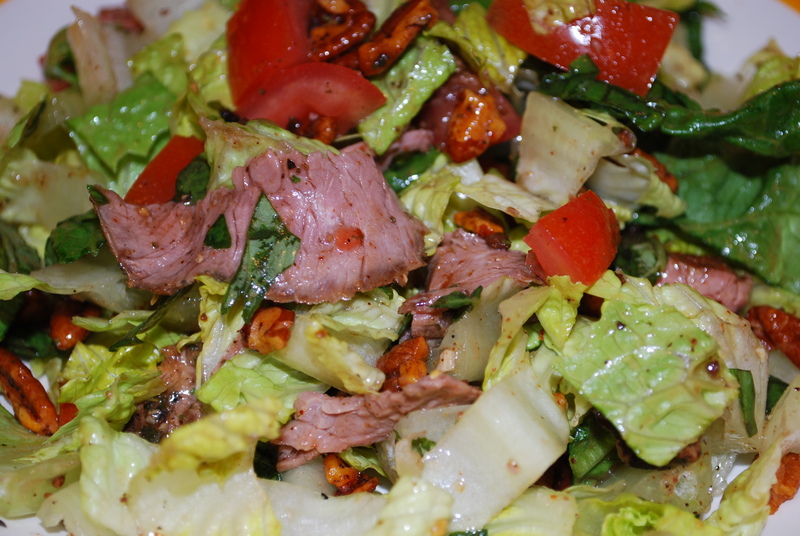 I mixed mine with romaine, roma tomatoes, and some of the mexican pecans. What a great lunch! For printable recipe click here!